(Last Updated : 29.01.2019). Samagra Shiksha Chandigarh under Education Department of Chandigarh Administration has released Answer Key of Chandigarh JBT Recruitment 2018-19. The written test was held on 27 January 2019 and admit card can be downloaded from 23.01.2018. Eligible and interested candidates could apply online for 418 Junior Basic Teachers Posts 2018 as per the schedule through the website i.e. www.recruit.nitttrchd.ac.in. Check here latest updates on Chandigarh Education Department 418 JBT Recruitment News 2018-19 like Online Application, Exam Pattern, Syllabus, Selection Criteria, Exam Dates, Admit Card, Answer Key & Result 2019. Education Department Chandigarh Administration has released official answer key of Written Test for recruitment to 418 posts of JBT Teachers on contractual basis. The candidates can download their answer key and exam result as per the schedule given below. Online applications for these posts were invited from 08 October 2018 (10.00 AM onwards) to 01 November 2018 (up to 5.00 PM) on the official website i.e. http://www.recruit.nitttrchd.ac.in. Candidates can download official answer key for the above said exams at the official website of Chandigarh Education Dept. The provisional answer key of JBT Exam 27 January 2019 has been released on 29.01.2019. Candidates can download their e-Admit Card or Roll No. for the above said exams at the official website of Chandigarh Education Dept. i.e. http://www.chdeducation.gov.in or at the website of CDAC Mohali i.e. http://recruitment-portal.in. Age relaxation will be according to govt. norms. [A] (i) Graduate or its equivalent from a recognised University. (ii) Diploma in Elementary Education (D.El.Ed.) (by whatever name known) of not less than 02 years duration recognised by NCTE. (iii) Pass in Teacher Eligibility Test (TET) conducted by CBSE New Delhi applicable for the teachers teaching class I to V in accordance with the Guidelines framed by the NCTE. [B] #(i) Graduation with at least 50% marks and Bachelor of Education (B.Ed.). Note : #Candidates who have acquired the qualification of Bachelor of Education from any NCTE recognised institution shall be considered for appointment as a teacher in classes I to V provided the person so appointed as a teacher shall mandatorily undergo a six month Bridge Course in Elementary Education recognized by the NCTE, within two years of such appointment as primary teacher. Merit List will be prepared on the basis of total marks obtained in objective type test of 150 marks. Qualifying marks will be 40% for all candidates. Medium of written test will be bilingual i.e. English & Hindi except for the Language papers which would be in the concerned Language only. 15 questions each on Reasoning Ability, Arithmetical & Numerical Ability, General Awareness, Teaching Aptitude, Maths, Social Science, General Science & 10 questions on each Hindi, English & Punjabi Language & Comprehension. Note : Level of questions will be up to 10th standard. Applications for the recruitment of 418 JBT posts Teachers posts at Education Department of Chandigarh Administration can be submitted through only 'Online' mode from 08 October 2084 (10.00 AM onwards) to 01 November 2018 (up to 5.00 PM) on the official website i.e. http://www.recruit.nitttrchd.ac.in. Note : For other information regarding selection process, written exam pattern and syllabus for the posts of JBT at Education Department Chandigarh Administration, you can also visit the official website of the Deptt. i.e. http://www.chdeducation.gov.in/ or you can download the original advt. The School Education Department of Chandigarh Administration has issued Cancellation Order regarding cancellation of JBT Selection List of 489 JBT Teachers selected based upon the written test conducted in 2015 due to Court Case. Fresh written test will be held for all the applicants, who had applied for the post of JBT advertised in October/November 2014. Eligibility conditions and other requirements will remain unchanged. Here is complete history of JBT Recruitment 2014-15. The candidates who were absent on these two dates /rounds were given final opportunity to appear before Document Verification Committee to get their documents checked on 30 Sept. 2015 at 10:30 A.M at Govt. Model Senior Secondary School Sector-19 Chandigarh. The candidates who applied for the post of NTT and were absent during first two rounds of verification were also given final opportunity to get their documents checked on 6 October 2015 at 11:00 am at Govt. Model Sr. Sec. School, Sector-19. The Department uploaded Document Verification Schedule for the candidates of Sports Category for the post of JBT on 17.08.15. The dept. uploaded Discrepancies List on 03.09.15 for the post of JBT (Sports Category) and candidates who were figured out in the discrepancies list and were absent on 21.08.2015 for document verification, were advised to submit the required documents on 10-09-2015 at Govt. Model Senior Secondary School Sector-19 Chandigarh. The Dept. uploaded list of candidates to whom Appointment Letters have been issued for the post of JBT & NTT on 14.08.2015. The department also uploaded list of candidates of sports category who have qualified the written test for the post of JBT. The Department issued a notice on 04.08.15 regarding Medical Examination of all the selected candidates for the post of JBT & NTT. The Education Department uploaded 4th Merit List for selection to the post of JBT (General, SC & OBC Categories) and 2nd Merit List for selection to the post of NTT after 2nd round. Discrepancies list committee-wise for the post of NTT after 2nd round of document checking on 23.07.15 has been published on 28.07.15. Before this, the Department uploaded 3rd Merit List for selection to the post of JBT (ESM & PH Categories), 2nd Merit List for selection to the post of JBT (OBC & SC Categories) and Schedule for Document Verification for the post of NTT. The Department uploaded discrepancies list for the post of JBT after 2nd Round of document verification checking on 09.07.2015. Medical Examination will be conducted from 06.08.2015 to 10.08.2015 at different Govt. Hospitals in Chandigarh. All selected candidates have been informed telephonically about the revised date and venue. "In case, any candidate to whom date for medical examination has been given after 10.08.2015 and has not received telephonic message for revised date and venue may contact Principal Govt. Model Senior Secondary School, Sector - 15 on 06.08.2015/07.08.2015 at 8:00 am.Details regarding revised date can also be enquired at Phone No. 0172-2700164 from 8:00 am to 11:00 am." The First Merit List for Selection to the posts of JBT & NTT has already been published by the department. The Department also uploaded list of candidates whose candidature for the post of NTT cannot be considered in 1st round and eligibility status under consideration/document checking pending for the post of JBT (General Category). The Department uploaded List of Eligible and Not Eligible candidates for the post of JBT after first round of document verification. The Department uploaded eligibility status of the candidates for the post of NTT after document verification. Eligibility status can be seen committee-wise for NTT & JBT. The Department, on 01.07.15 withdrawn the Result of Written Test for the post of JBT declared on 06.04.2015 and uploaded the Revised Result along with schedule for verification of documents. Original documents of the candidates whose name will figure in Merit list will be checked on 9-07-2015 at Govt. Model Senior Secondary School Sector- 10 Chandigarh. The Department has taken this decision due to errors in the Answer keys. There were some errors in the answer keys of written test for the post of JBT and it was brought to the notice of the Administration. To ensure justice to all the candidates for the post of JBT, the Administration after getting the answer keys verified by experts, has prepared the final answer keys which have been uploaded on the website of the Education Department. Chandigarh Education Department uploaded the list of candidates who do not fulfill eligibility conditions and the eligibility status for the post of JBT after first round of document verification. See the lists below. Chandigarh Education Department released Document Verification Schedule for the post of JBT after the declaration of Revised Result. Original documents of the candidates whose name will figure in Merit list will be checked on 09-07-2015 at Govt. Model Senior Secondary School Sector- 10 Chandigarh. Candidate wise schedule for documents verification has also been uploaded on official website whose link is given below. The candidates whose documents have been verified as per the earlier merit list and who continue to figure in the revised merit list as well, will not be required to get their documents verified again. The department uploaded List of candidates who do not fulfill eligibility conditions as mentioned in the advertisement as found after the verification of documents and List of absent candidates during Document Verification for the post of Nursery Teacher. Previously the Department has provided the link for the candidates of JBT to view their OMR Sheet which will be available till 28.06.15. So candidates can check / view their OMR Sheet of JBT Exam till 28 June 2015. The Deptt. has provided this facility to candidate reference. Earlier the Department declared List of Candidates called for Document Verification, Schedule of Document Verification & Provisional Merit List after the declaration of Revised Result for the post of NTT whose Result was earlier withdrawn by the Department. The Results of Written Test for the post of Nursery Teacher (NTT) was declared on 6 April 2015. The Revised Result was uploaded on 26.05.2015. The Department has taken this decision due to errors in the Answer keys. There were some errors in the answer keys of written test for the post of NTT and it was brought to the notice of the Administration. To ensure justice to all the candidates, the Administration after getting the answer keys verified by experts, has prepared the final answer keys which have been uploaded on the website of the Education Department. Chandigarh Education Department released Document Verification Schedule for the post of NTT after the declaration of Revised Result. Original documents of the candidates whose name will figure in Merit list will be checked between 23.07.2015 to 24.07.2015 at Govt. Model Senior Secondary School Sector- 19 Chandigarh. Candidate wise schedule for documents verification has also been uploaded on official website whose link is given below. The Deptt. also issued instructions for the candidates of NTT for document verification on 04 June 2015. Here are the important instructions for the candidates. All the candidates must have printout of online application with photograph pasted on it. Photograph, declaration on application and all the photocopies attached with the printout are to be signed by the candidates. Registration no. and roll no. is also to be written on each document attached with the application. Photocopies and original documents are to be attached in the given sequence. Serial number is to be written on all attached documents and total number of certificates/documents attached is also to be mentioned in application by the candidates. Earlier the Department uploaded final list of candidates with Remarks of Document Checking Committee updated on 08.05.15 for the post of NTT. Original documents for the posts of NTT were checked on 17-04-2015. While checking the original documents for the post of posts of NTT certain discrepancies have been pointed out by document checking committees. These candidates were advised to read remarks column and submit the required documents on 06-05-2015/07-05-2015 at Govt. Model Senior Secondary School Sector-10 Chandigarh at 02:00 P.M.
Now these candidates are given one more chance to prove their eligibility. These candidates are advised to present their case on 13-05-2015 at Govt. Model Senior Secondary School Sector-10 Chandigarh at 01:00 P.M. If they fail to do so, they will be declared ineligible for the post of NTT without giving any further opportunity. See/download complete list of Discrepancies for the post of NTT. Education Department of Chandigarh Administration had given final opportunity to the candidates of JBT & NTT who were remain absent on the scheduled dates 16.04.15 & 17.04.15 to appear before the document checking committee to get their documents submitted and verified on 23- 04-2015 at 09:00 A.M at Govt. Model Senior Secondary School Sector-10 Chandigarh. Original documents for the posts of JBT & NTT were checked on 16-04-2015 & 17-04-2015. While checking the original documents for the post of posts of JBT certain discrepancies have been pointed out by document checking committees. These candidates are advised to read remarks column and submit the required documents on 23-04-2015 at Govt. Model Senior Secondary School Sector-10 Chandigarh at 02:00 P.M.
Education Department of Chandigarh Administration released List of Candidates Called for Document Verification Merit-wise & Category-wise and Schedule of Document Verification for Junior Basic Teacher (JBT) & Nursery Teacher (NTT). The Provisional Merit List & Result of Chandigarh JBT (Primary Teacher) & NTT Recruitment 2014-15 have been declared by Chandigarh Education Department on 09.04.15 & 06.04.15 respectively. Candidates, who are called for document verification, are required to bring their original documents for verification at Govt. Model Sen. Sec. School, Sector-10, Chandigarh on 16 & 17 April 2015 as per schedule which is given below. Download Revised Final Answer Keys for Chandigarh JBT/PRT & NTT Written Test Exam 2015 held on 31.01.2015 (NTT) & 01.02.2015 (JBT). Chandigarh JBT (Primary Teacher) , NTT Answer Keys could be downloaded from 11.02.2015 at the official website of CDAC Mohali i.e. http://recruitment-portal.in. The Deptt. had changed the schedule of uploading the answer keys of these exams. As per earlier schedule, the Official Answer keys for both exams were to be uploaded on 06.02.2015. Answer keys for JBT & NTT exams were available from 11.02.2015 and objections relating to answer keys could be submitted upto 16.02.2015 (5.00 PM). See keys below. Education Department Chandigarh Administration had invited online applications for recruitment to 489 posts of JBT Teachers & 103 posts of Nursery Teachers on regular basis. Eligible candidates could apply online for these posts from 03 November 2014 (9.00 AM onwards) to 25 November 2014 (upto 5.00 PM) on the website of CDAC Mohali i.e. http://recruitment-portal.in. Candidates can download their e-Admit Card or Roll No. for the above said exams at the official website of Chandigarh Education Deptt. i.e. http://www.chdeducation.gov.in or at the website of CDAC Mohali i.e. http://recruitment-portal.in. Note : The candidates whose name is not in the said list are advised/requested to submit proof for deposit of fees (either fax on 0172-6619003 or send email at tech.cdacm@gmail.com or contact personally) up to 8.12.2014 by 5:00PM at C-DAC, A-34, Phase VIII, Industrial Area, Mohali - 160071 falling which their application/candidature will be rejected on the ground of non-payment of requisite fees without making any further reference to them. Merit List will be prepared on the basis of total marks obtained in two tests (objective type) of 100 marks each. Qualifying marks will be 40% for SC category candidates and 45% for all other candidates. Medium of written test will be English, However, questions of languages will be in respective language. 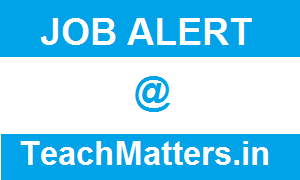 Applications for the recruitment of 489 JBT posts and 103 Nursery Teachers posts at Education Department of Chandigarh Administration could be submitted through only 'Online' mode from 03 November 2014 (9.00 AM onwards) to 25 November 2014 (upto 5.00 PM) on the website of CDAC Mohali i.e. http://recruitment-portal.in. Apply online for JBT/NTT (closed). Note : For other information regarding selection process, written exam pattern and syllabus for the posts of JBT & Nursery Teachers at Education Department Chandigarh Administration, you can also visit the official website of the Deptt. i.e. http://www.chdeducation.gov.in/ or you can download the original advt. here. No, according to the pattern cited above, it will be in English and language questions will be in respective languages. There is error in question and answer in N.T.T exam. Now please tell new answer key kub aai ge. Sir,when result of NTT JBT is going to be declared? sir,when will be result of ntt exam declared? Parveen, you are near about the cut-off. Vinod, you also have chance. Result may be declared in the last two weeks of March. I have got 134 marks in jbt general category.Is there any chance for me? Kirti, you also have a chance. Let us see the cut-off marks. Lucky, for TGT SS may be chance for you. Be positive. Please inform us when the result we be declared. Sir, When the results of JBT will be declared. May be in first/second week of April 2015. Sir I have got 115 marks in jbt. Sc category. Is there any chance for me. Praveen, let's see the Cut-off Marks for SC Category. Chandigarh JBT/PRT, NTT Result 2015 may be declared in the first/second week of April 2015.
is there any scope in 126 marks under gen. category for JBT. is there any need for seperate graduation degree for a candidate who has done B.El.Ed in chandigarh jbt exam? Sir two years diploma Holder's in basic teaching are eligible for NTT or not. Ya diploma NTT mein hi hona chaiye? Is there any chance regarding second list of jbt. because many candidates were absent on the date of document verification. And documents of many candidates were not complete also. So, I want to ask whether other candidates will get chance or not. when will jbt final result be declared,any idea? Do you think more general category candidates will be considered ?